Finally, a day out for even the busiest of farmers – the 3-day spectacular that is the National Ploughing Championships will take place in Athy from the 20th – 22nd September. 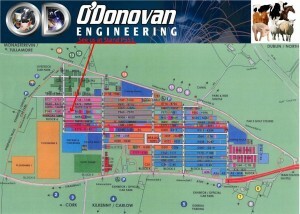 The team at O’Donovan Engineering look forward to meeting everyone and we invite you to visit our stand for a browse and a cup of tea on P 551 close to the livestock. As Ireland’s leading firm in the design and supply of quality livestock handling, housing and management equipment, we look forward to welcoming visitors to our stand again this year. We will be launching some exciting new products to the market as well as demonstrating the old favourites. We will also be demonstrating a number of exciting new sheep products throughout the day that are now available for purchase. Our friendly and helpful sales team will also be there to answer any queries you may have.